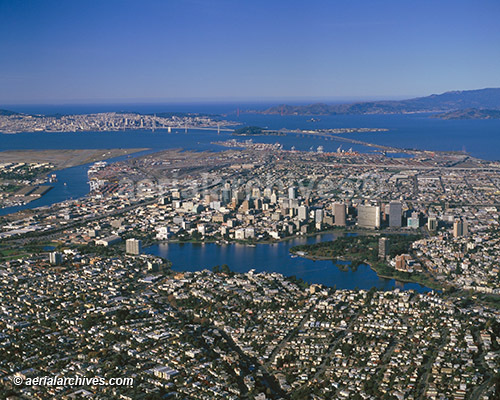 Oakland and Berkeley contain an wonderful collection and range of good restaurants and the list grows monthly. It’s hard for visitors to find the best places from among the crowd. 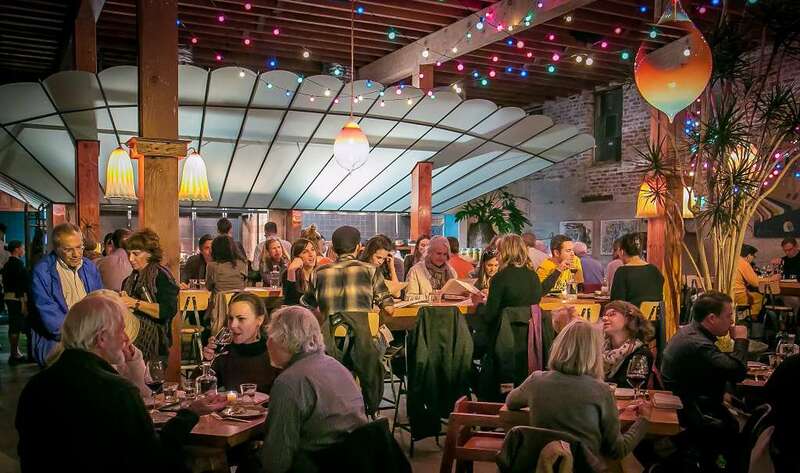 Most “Best of” Lists focus on handful of well, the best, coolist, hippist places in town. At least the hippist this month. But if you live here and go out frequetly, you can’t go spending $100 at every meal and many of “the best” are reserved into the future. This post began as a restaurant guide that Susan prepared for our airbnb guests. This is the first of several posts for the Grand lake District, the area near our home, within 10 or 15 minutes walking distance. We’ve updated it and will add new places as they emerge. These are the places that we go to and love and some that have some special appeal or noterierity. 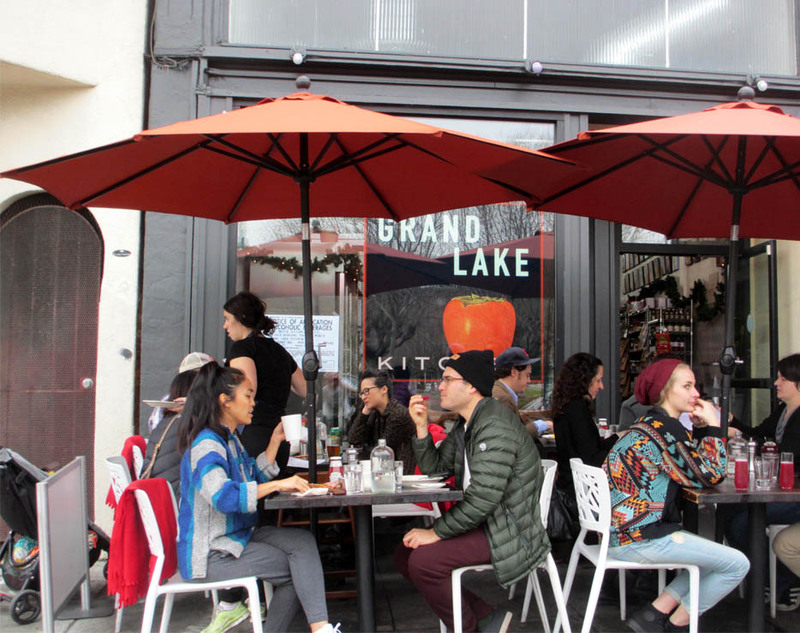 See Best Oakland Restaurats – Vol. 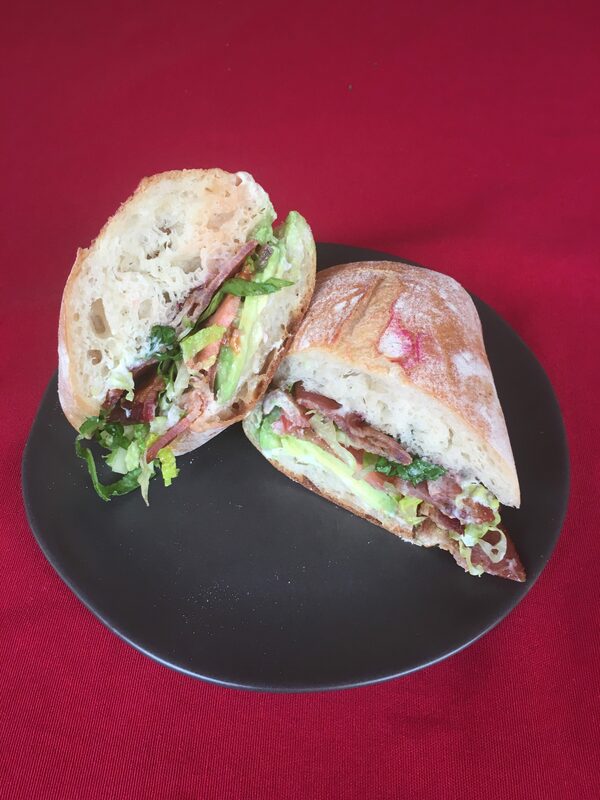 2 for restaurants outside our neighborhood and Best Oakland Markets for Markets, Bakeries, and other shopping. You could go down any street where we’ve listed a restaurant and find other places, maybe as good. Sometimes the places we recommend don’t always get the best Yelp reviews. Not getting picked doesn’t mean they aren’t good, they just aren’t ours. This post is a work in progress and we will add more detail, websites and photos in the near future. 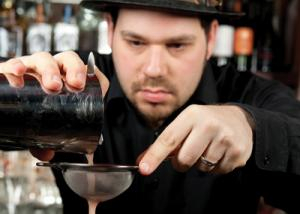 A ten-minute walk from the house, this restaurant is a true neighborhood gem, with a lively bar run by Jared Hirsch, the one wearing the hat, known for his great innovative cocktails and inventor of Caged Heat Cocktail Syrup. Locals come here, sit at the bar, and have conversations, just the way we imagine a neighborhood bar, only brighter and without the Coors sign. Most times I just ask Jared to make something I would like, and I’ve never been unhappy. They serve consistently excellent comfort food that’s well-priced: Deviled eggs with bacon. Pork N’ Beans – actually a delicious pork chop – an exceptional burger and fries. We love to sit outside and enjoy the lake view and the neighborhood passing by at this café with fantastic food. The menu is varied with unusual twists on traditional dishes. The egg salad, one of the world’s best mayonnaise delivery systems, is so rich and delicious you won’t need to eat for the rest of the day! 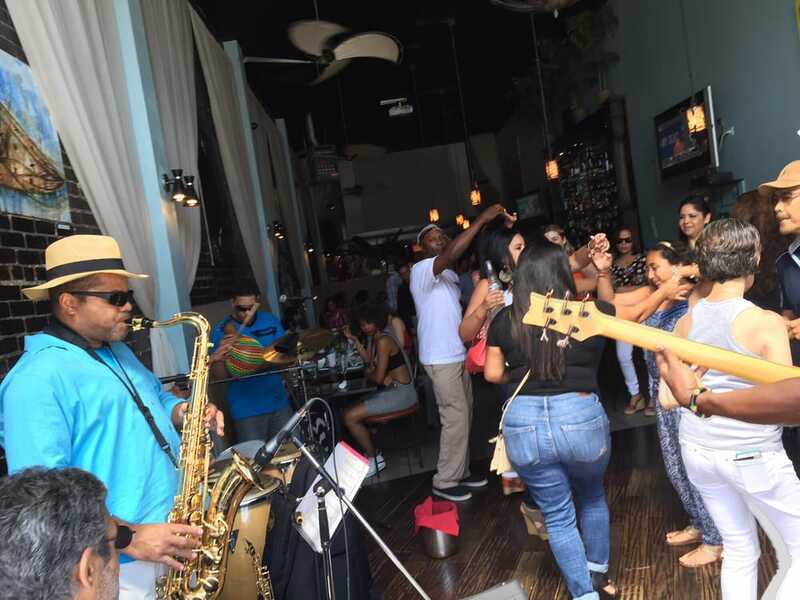 Oakland is spawning a new breed of local bars; this is one of the best, some days with live music, DJ and a trivia night. While Room 389 is mostly patronized by millennials, don’t pass it up if you are older. In our sixties, we feel quite welcome. They love it when the olds come out at night. But that’s at night. They open a coffee bar/café at 7:30 each morning, 9:00 on weekends. Great coffee, quiet and inexpensive. No cooked food, just pastries and hot burritos, wraps, breakfast sandwiches. 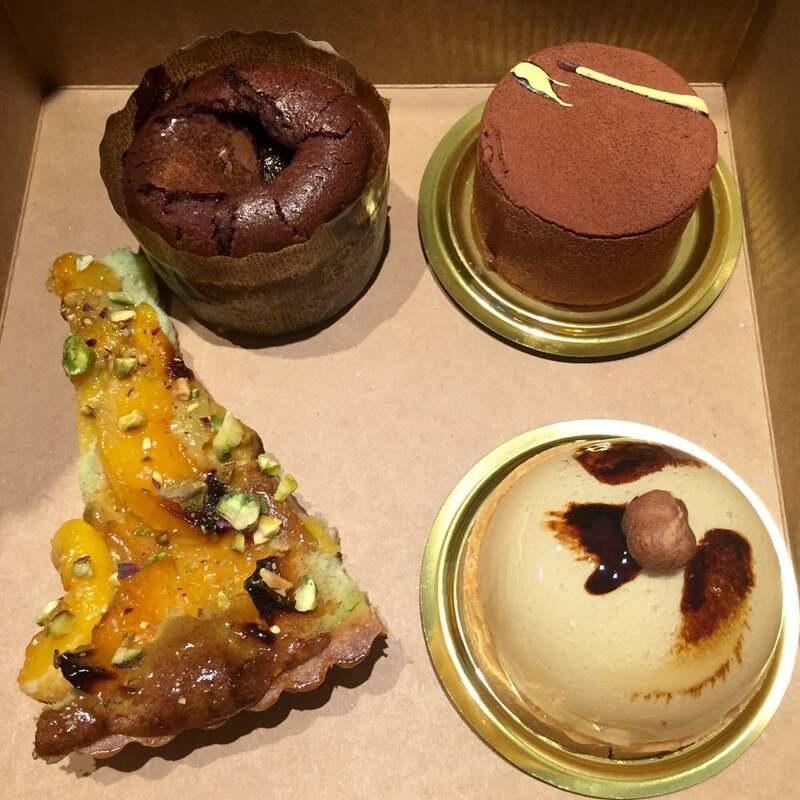 A fairly new to the neighborhood family run Medeterranian restaurant. Schwarma, hummus….all good. Eat in or call in advance for take-out. This is right next door to Los Cantaros, so if your family can’t make up their mind, you can easily do take-away from both. Our neighborhood has a large Ethiopian community. This is one of the newest and most popular restaurants. I am not drawn to Ethiopian food, so I haven’t been there, but Susan has tried several Ethiopian restaurants and thinks this is among the best. Coffee and pastry/lunch menu. A favored milllennial workplace with a kids room. Everyone raves over this new restaurant, the third (Pizziaola, Boot and Shoe and Penrose) of celebrated restauranteur, Charlie Hallowell. 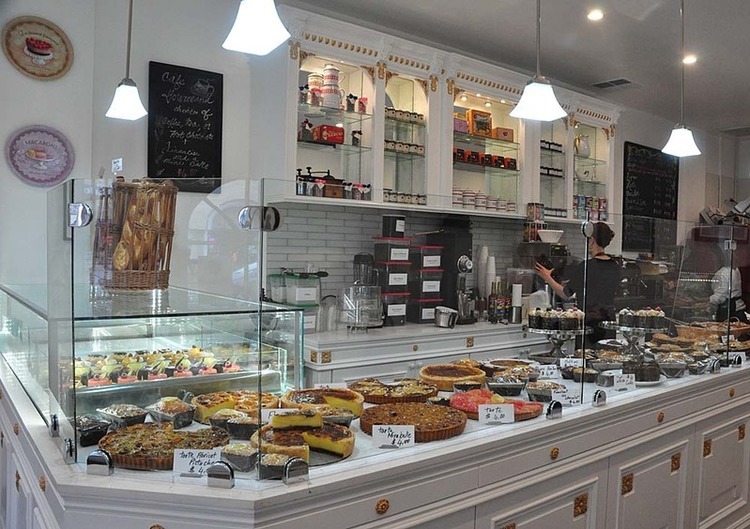 A small new very French Patisserie. Delightful. I forget the french name, but do not miss the donut holes. Wonderful Cuban café and restaurant. Best place to sit and watch the crowds on Saturday afternoons during the Farmer’s Market. Another fantastic people watching spot with wonderful artisan breads, rolls, muffins, and pizza of the day. 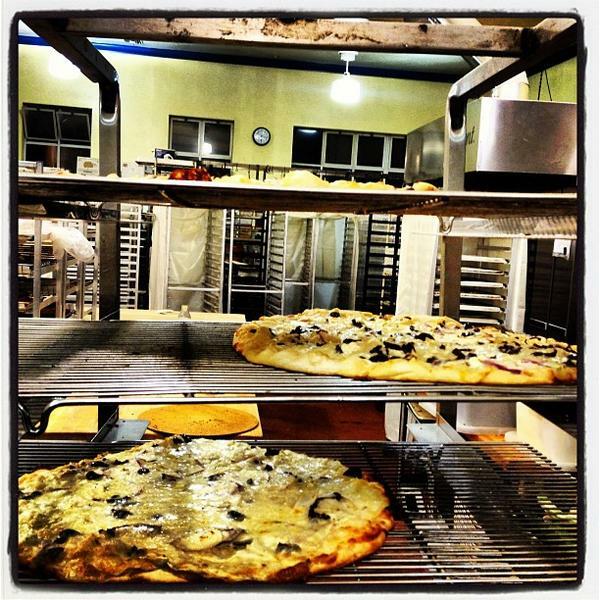 This is one of six collective bakeries in the Arizmendi Association. Top Dog started with two locations near UC Bekelery. 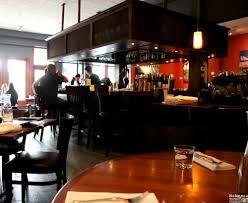 The owner and staff always had strong political opinions that have evolved to vague Liberterian rants. But the dogs remain first class. Peet’s was founded on the north side of Berkeley in 1963. The original Walunt Square store is still there. Peet’s gave rise to the whole modern gourmet coffee industry. Starbucks was started by a Peet’s alumni. In the early Starbucks era, when it was sweeping the nation, there were no Starbucks in the Bay Area due to a ten year non-compete clause. Now they go toe-to-toe and Peet’s does just fine. So there it is. An amazing collections of places to eat withing walking distance of our home. And I could make a similar list for many neighborhoods throughout Oakland and Berkeley. But I won’t, see Best Oakland Restaurants – Vol 2. The Rest, for highlights of special places more far afield.